As a mother, I know how incredible it is to experience the miracle of pregnancy. I was never more in awe of my own body than I was during pregnancy as I watched my belly stretch and move as my babies grew and somersaulted before they arrived. I also understand that while its miraculous, pregnancy is rarely easy. Struggling with fertility, medical challenges, and even anxiety and uncertainty about motherhood can make it hard to celebrate your pregnant body. Maternity photographs are not only for parents to treasure but also to pass down to their children as they grow older. While nine months can sometimes feel like nine years, a maternity session is an opportunity to hold onto the fleeting memories of your pregnancy. I have never had a client regret their maternity session, even those who struggle with their body image. Newborn and baby photography clients often share with me that hindsight is 20/20 and they wish they’d had the perspective to realize just how important maternity photographs would be to them once their babies arrived. Like many women, I made the decision not to have maternity photographs during my first and second pregnancies. Because of my own experiences as a mother and photographer, I eagerly booked a maternity session for my third pregnancy and I’m so grateful I have those photographs to display on the walls of our home. Getting in front of the camera makes a lot of people feel incredibly vulnerable. In talking with the pregnant women I photograph, I hear so often how much they struggle to embrace their beautiful changing bodies and how different they look in the mirror. Maternity photography is about creating beautiful memories but it can also be part of your healing process as you learn to love and accept your body as it is. A maternity session is often a brand new experience for mamas-to-be and it can be hard to know just what you would like from your session or what to expect. From our first contact, I will guide you every step of the way. I am as passionate about the photographs I create as I am about making my maternity sessions relaxed and stress-free. Let me worry about making you look your very best so that you don’t have to! Curious about what to expect? Take a moment to read what my clients have said about their sessions with me. 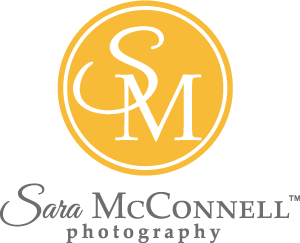 To see my most recent maternity sessions, visit the Sara McConnell Photography Blog. We have a special offer for April & May Maternity Sessions. Contact us here for all the details! Maternity sessions typically take place between 30 and 35 weeks. I know how challenging (and expensive) it can be to find beautiful maternity clothing that fits and makes you feel beautiful: I have a large selection of maternity dresses and gowns available for clients to wear during their sessions. If you feel more comfortable in your own outfits I’m happy to help you style your session around your favourite wardrobe pieces! The Extraordinary experience allows for multiple backdrop and outfit changes or a special outdoor location (e.g., beach, forest). Sessions are 45 minutes long and take place on weekdays or weekday evenings. Your spouse and children are welcome to participate in the session and there is no additional cost. The session fee ($599) includes 10 edited, retouched, and artistically enhanced digital files of your choice in colour and black & white as well as 5 complimentary gift prints of your choice or one 16x20 wall art print. The perfect opportunity to capture a few special memories of your pregnancy either on your own (1-2 backdrops or 1-2 outfits) or with your family (1 backdrop, 1 outfit). Sessions are 20 minutes long and take place on weekdays or weekday evenings in the studio. The session fee ($345) includes 5 edited, retouched, and artistically enhanced digital files of your choice in colour and black & white as well as 3 complimentary gift prints of your choice or one 11x14 wall art print. Milkbath sessions are ideal for women who would like artistic and unique photographs of themselves from their pregnancy. A timeless white set and your favourite flowers create a stunning backdrop for your maternity photographs. Sessions take place at the Sara McConnell Photography studio on weekdays and are 15 minutes in length. Take advantage of one of the following photography packages and save when you book your maternity and newborn session at the same time. Clients who pre-book their package also get guaranteed space in my schedule irrespective of when their little one arrives. Custom Maternity/Newborn/Baby Photography session packages are available. We are happy to design a custom package to meet your needs. For details on what is included in your newborn session please visit my Newborn page.